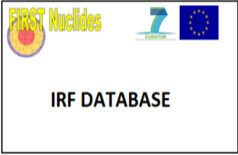 FIRST Nuclides is a Collaborative Project funded by the European Commission under the 7th Framework Programme of the European Atomic Energy Community (EURATOM) for research activities in support of implementation of geological disposal (Fission-2011-1.1.1). 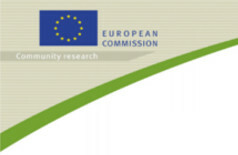 The EURATOM FP7 Collaborative Project “Fast / Instant Release of Safety Relevant Radionuclides from Spent Nuclear Fuel (CP FIRST-Nuclides)” contributes to the progress towards implementing of geological disposal in line with the Vision Report and the Strategic Research Agenda (SRA) of the “Implementing Geological Disposal – Technology Platform (IGD-TP)”. Waste forms and their behaviour represent a key topic in the SRA of IGD-TP. 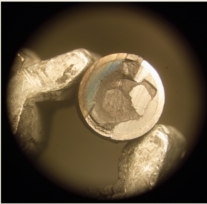 This key topic deals with understanding the behaviour of various wastes in geological repositories in particular with high burn-up spent uranium oxide fuels (UO2). The overall objective of the project is to improve the understanding of the fast / instantly released radionuclides from disposed high burn-up UO2 spent nuclear fuel. The outcome of the project is relevant for all types of host rocks in Europe. 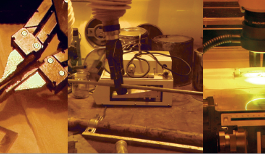 The project provides for experiments combined with modelling studies on integration of the different results as well as for up-scaling from experimental conditions to entire Light Water Reactor (LWR) fuel rods. Spent fuel materials are selected and characterized. Experiments and modelling studies access the correlation between the fast release of fission gases and non-gaseous fission products. They also cover the chemical speciation of relevant fission/activation products and the retention of radionuclides in the rim and grain boundaries of the fuel. Complementary, existing data from previous investigations are evaluated. The project started on 1st January 2012 and will last 3 years. The project is implemented by a Consortium with 10 Beneficiaries consisting of large Research Institutions and Small and Medium Enterprises (SME’s) from 7 EURATOM Signatory States, and the EC Institute for Transuranium Elements. National Waste Management Organizations contribute to the project by participation in the End-User Group, by co-funding to Beneficiaries, and provide for knowledge and information. The total budget is 4.74 million Euros with 2.49 million Euros financed by the European Commission.